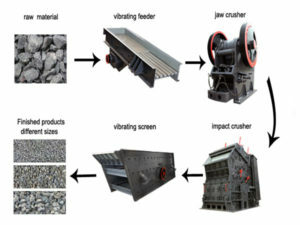 Crusher machine mainly includes jaw crusher, impact crusher, compound cone crusher, etc. With the prosperous development of mining industry, the equipment is becoming more and more important. 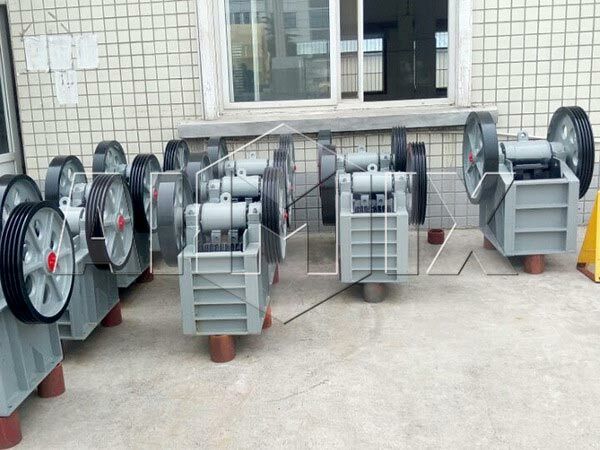 In addition, it is widely used in mining, smelting, building material, road, railway, water conservancy, chemical industry and many other industries. These crusher machines combined together could make up a high efficient crusher plant production line. 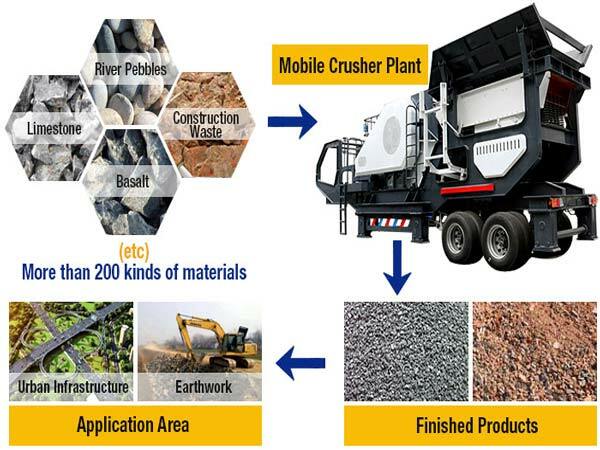 As is well known, a large number of raw materials and recycled waste materials need to be processed with a machine crusher in metallurgical, mining, chemical, cement and other industries every year. 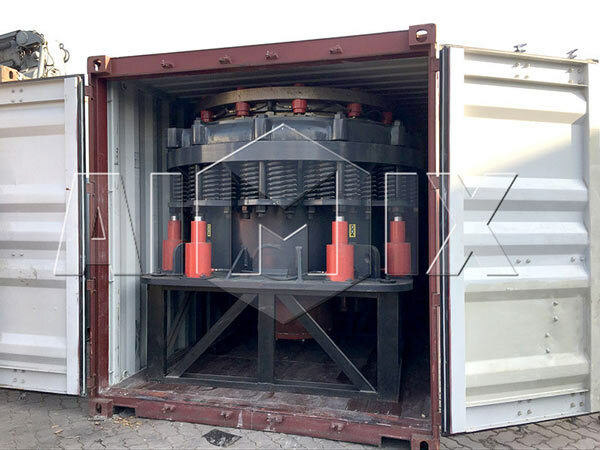 In concentrating mill, in order to separate the useful minerals from the ore, it is used to crush the ore into the particle size required by the grinding process. In the coking factory, sintering factory, ceramic factory, glass industry, powder metallurgy and other departments, it is necessary to use crushing equipment to crush the materials into the appropriate size. Besides, the use of Aimix’s crushing machine has great significance. In the chemical and electric power industries, the powder crusher machine could crush and grind the raw materials into small size. So that these materials can be used in next process. Moreover, with the rapid development of industry and the rapid reduction of resources, the recycling of waste is very important in various fields. The recycling of these wastes needs to be processed by industrial crusher. As we’ve mentioned, con crusher consists of many types of machines. On the basis of the principle of crush working, Aimix’s crushing equipment can be divided into several kinds of crushing equipments. And you can find all the informations on Aimix’s (an excellent crusher manufacturer) website. Here, Aimix will describe several equipments for customers. 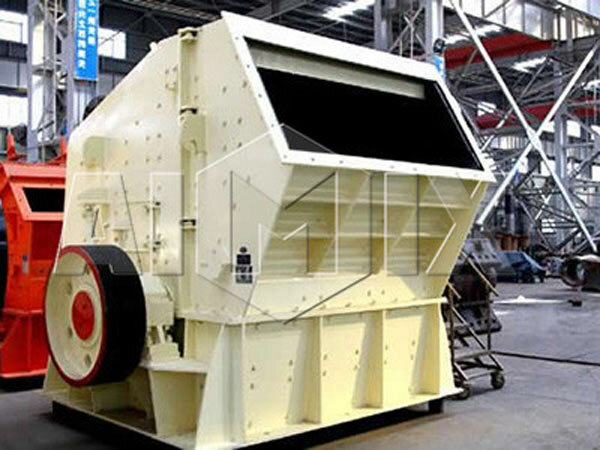 Jaw crusher is the most common type among so many superior crusher. Aimix’s jaw crushing machine has advanced technology, long service life, reliable working condition, easy maintenance and other advantages. Besides, this type of machine has many excellent features. 1. This construction crusher can crush large pieces of limestone. And the largest broken particle size is 1000 * 1200mm. In current mining industry, limestone is in short supply and many ordinary crushing machines can not crush large size limestone. However, Aimix’s machine can crush large limestone into small particles, so you can get more crushed limestone by using our crush machines. 2. 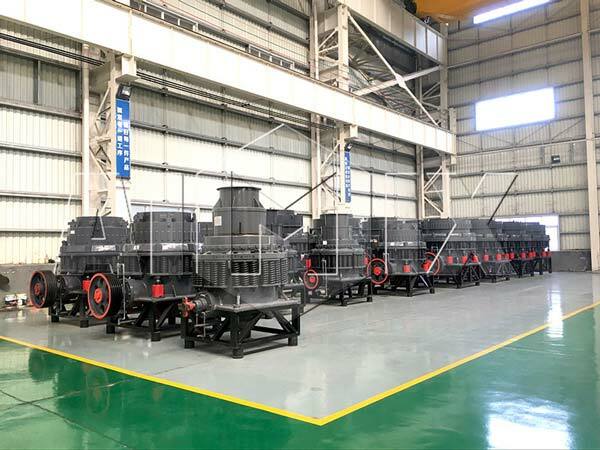 Aimix’s jaw stone crusher plant has greatly declined power consumption. Crushing one ton of limestone can save 1-2KW electric power per hour. With the development of productivity, ordinary crush machine has been unable to fully meet the needs of crushing. Therefore, on the basis of ordinary crush machine, experts of crusher industry have designed impact crushing machine. It adopts the new technology, new ideas, and new conception. The crushing machine, which can meet the needs of more users, is the best choice among many types of machines. So it has a considerable market share. According to the features of ore, this kind of machine can adopt reasonable configuration. So it will effectively reduce production cost and improve production efficiency. This shows the superior crushing ability of this kind of equipment. In addition, it has wide applications. It has become the specific equipment to crush stone materials in highway, high-speed railway, and water conservancy project. It can crush all kinds of coarse, medium and fine materials, such as: limestone, feldspar, calcite, granite, talc, barite, fluorite, rare earth, coke, coal gangue, gypsum and so on. Besides, it can be applied to metal and non-metallic mineral, metallurgy, cement, chemical, refractory, ceramic and other industrial sectors. Cone crush machine designed and manufactured by Aimix Group is a superior product. And it uses the most advanced technology and conception. Therefore, it has so many unparalleled advantages. Firstly, its maintenance is easy. The discharge port of the machine’s hydraulic motor can be adjusted. In addition, it allows the fixed cone to be fully removed during replacing the liner. This can greatly simplify the replacement work of the liner. And all parts can be maintained or repaired from the top or side, therefore, equipment maintenance is very convenient. And you can find more informations on Aimx’s its maintenance manual. Secondly, this type of machine has higher speed stroke. With the increase of its rated power, the processing capacity can be greatly improved. 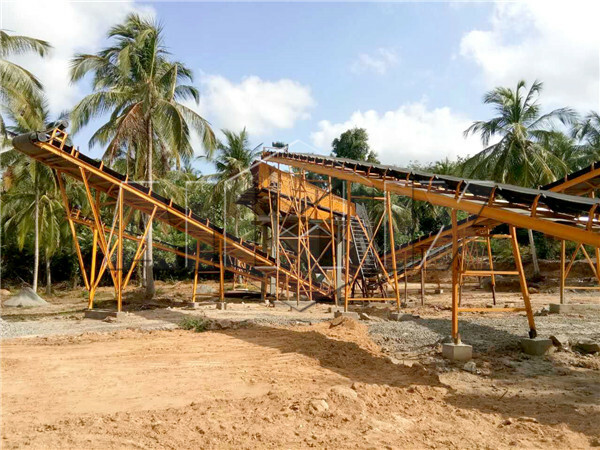 Thirdly, this cone crusher screener has high degree of automation. Moreover, it can be automatically controlled and even further controlled by a computer according to users’ needs. Hydraulic crusher machine adopts advanced hydraulic technology which can achieve hydraulic protection and adjustment of the discharge port. Besides, the hydraulic technology can also simplify the crusher structure, reduce the weight, and achieve automatic control of the crusher easily. The hydraulic lubrication control system has stable operation, and it can ensure the bearing’s lubrication. Moreover, it is a new type of eco crusher. Hydraulic crushing equipment for sale is widely used to crush granite, basalt, limestone, limestone, quartz stone, wollastonite, river pebbles, diabase, andesite and other non-metallic ores. In addition, it is applied to water conservancy, high-grade highway, highway, high-speed railway, bridge, airport runway, municipal work, high-rise building and so on. As one of the most professional crusher machine manufacturers, Aimix’s hydraulic crushing machine has many performance advantages. 1. It has large crushing ratio and high production efficiency. 2. It use thin oil to lubricate. This method is reliable and advanced. Besides, the machine’s service life can be improved. 3. It has many kinds of crushing cavity type. The crushing cavity has strong adaptability. 4. It has unique iron protection device, stable and reliable operation. And it is more efficient than ordinary machines. As everyone knows，crushing industry is becoming more and more prosperous. Correspondingly, many factories can produce all kinds of crush machines. In this way, it is more and more difficult for customers to choose a reliable supplier from innumerable manufacturers. 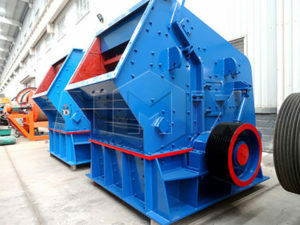 Therefore, when you decide to purchase a screener or limestone crusher, you must choose a reliable factory. 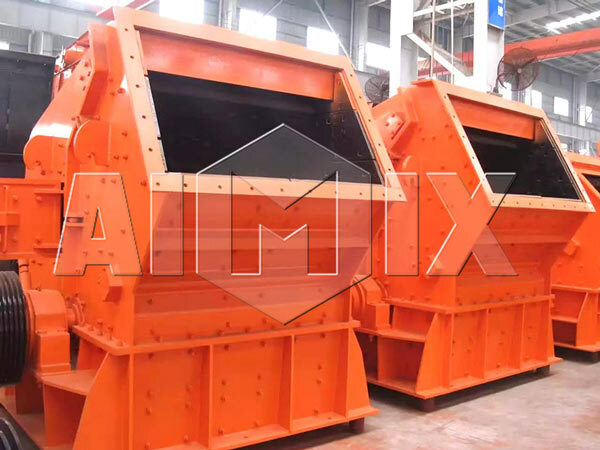 Aimix Group, one of the most professional crushing equipment manufacturers, can not only manufacture all crush machines, but also produce all kinds of crushers and screeners. 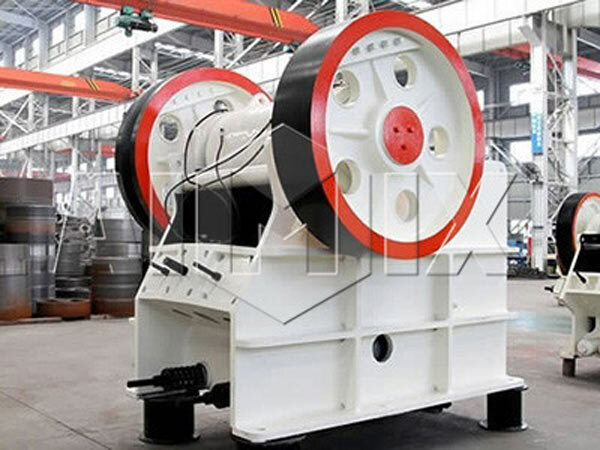 If you want to purchase a gold ore crusher, please don’t hesitate to choose us! Aimix’s equipments not only have high quality, but also have cheap price. Because all of our products are directly sold by factory, so you can get best crusher machine price from Aimix! All kinds of machiens can be customized according to the actual needs of users. 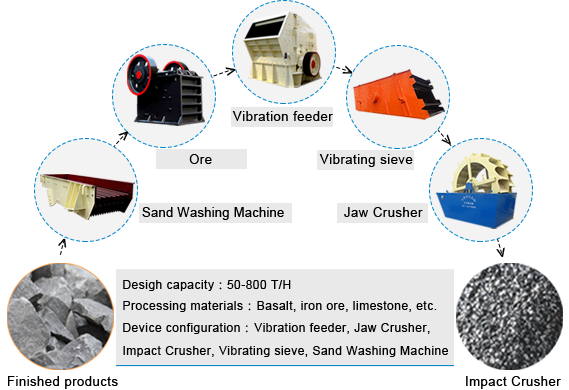 If you want to buy, please send us an email and we will provide you high quality equipment and the best crusher price.